“The Pathways initiative in India, is one of the six country-based initiatives under the global Pathways program. This five year program is operational in six countries: India and Bangladesh in Asia, and Tanzania, Mali, Malawi and Ghana in Africa. Congruent with the overall program, the initiative in India seeks to better the lives of poor women farmers by increasing their opportunities while addressing their social, economic and environmental constraints in agriculture. It focuses on developing multiple pathways towards a secure and resilient livelihood for some of the most ethnically and socially marginalised groups in one of the least developed areas of the country. These pathways are achieved through the empowerment of women smallholders, enhancement of intensified agricultural sector by means of leveraging key cross-cutting agriculture support systems and promotion and fulfilment of women’s rights, equity and leadership. Pathways project has the goal: To increase poor women farmers’ productivity and empowerment in more equitable agriculture systems at scale. CARE India works with a range of actors in households, communities, local government, technical service providers, other development organizations and networks, the media, research and advocacy organizations, and private-sector companies and investors. 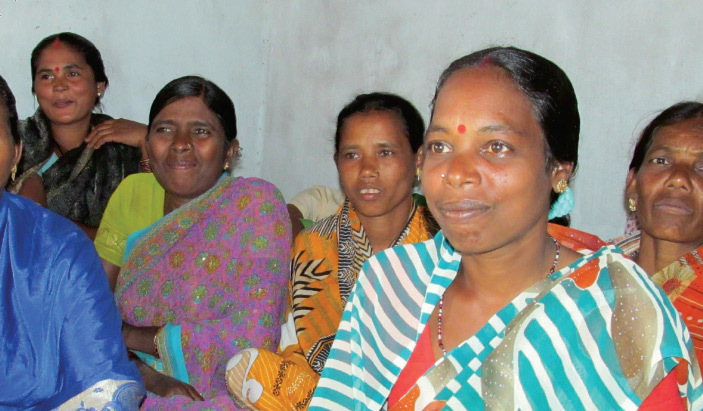 CARE India is primarily engaging with existing village level collectives to alter negative perceptions of women farmers and encourage more equitable agriculture systems. CARE India ensures that sustainable agriculture techniques and relevant skills are transferred to women farmers. Using value chain approach CARE India focusses to improve Women’s Access to Markets and Services through this program. A total of 8 agri-kiosks have been set up and are in operation to provide input and extension services. 250 qtl. of paddy seeds have been procured from the government on subsidized rates to fulfil the demand of the kiosk wise impact population. In 70 villages, meetings are conducted with FRCs, Gram Sabha for strengthening and to liaison and undertake advocacy with concerned departments/authorities on individual/community rights under FRA at village level.